The film “Normandy ’44, Decisive Victory in the West” is a 25-minute documentary based on archive images from the National Archives of the United States, Canada, the Imperial War Museum in London and the War Archives collection. It is screened in two versions in the museum – English and French. It retraces the major operations of the Battle of Normandy using both film from the period and maps showing the movements of troops. A massive diorama recalls the Falaise Pocket and specifically the first units of the American 90th Infantry Division and the Polish First Armoured Division meeting up at Chambois, in the Orne department, in August 1944. 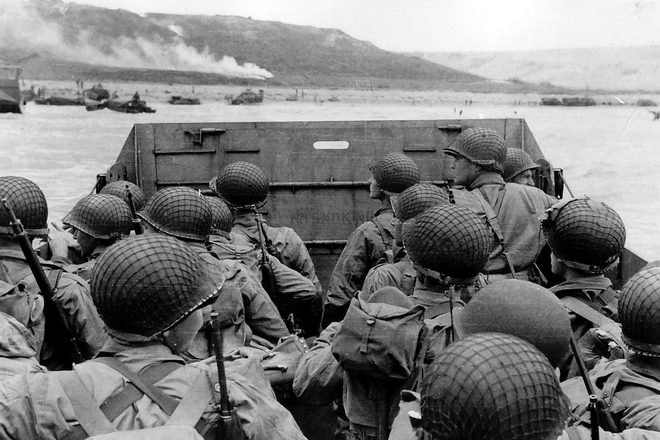 It is a reconstruction of one of the best known episodes in the Battle of Normandy. 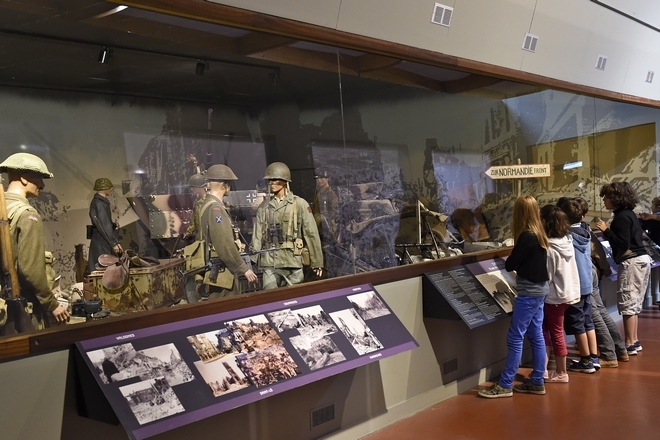 The diorama represents the meeting up of Allied troops who had succeeded in surrounding the Germans in a pocket around the village of Chambois after carrying out a pincer movement. The scene also shows the destruction caused by the fighting.